Cabbage Danish Ballhead Brassica Oleracea is heirloom, all purpose, fall or winter cabbage. Cabbage Danish Ballhead seeds are easy to germinate, and also known as Amager Cabbage, this variety produces 7 inches, 7-10 pounds, round heads that are uniformly solid and heavy. Brassica Oleracea seeds can be started indoors 6 weeks before the last frost and transplant 3-4 weeks before the last frost. 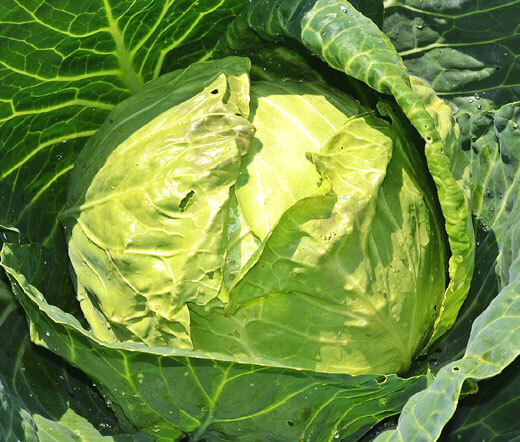 Cabbage Danish Ballhead is the excellent all purpose cabbage that is suitable for home gardens and market growers. This cabbage is excellent for sauerkraut and storage, and it can be easily stored until springtime. For a late harvest sow Brassica Oleracea seeds directly outdoors in mid spring, and space plants 10-20 inches apart. Cabbage Danish Ballhead can tolerate hot and dry weather.